I was doing some sorting through stuffs today, and while doing so, I found some old photos that were pretty bittersweet. Like this one, of Rayado and Como Se. 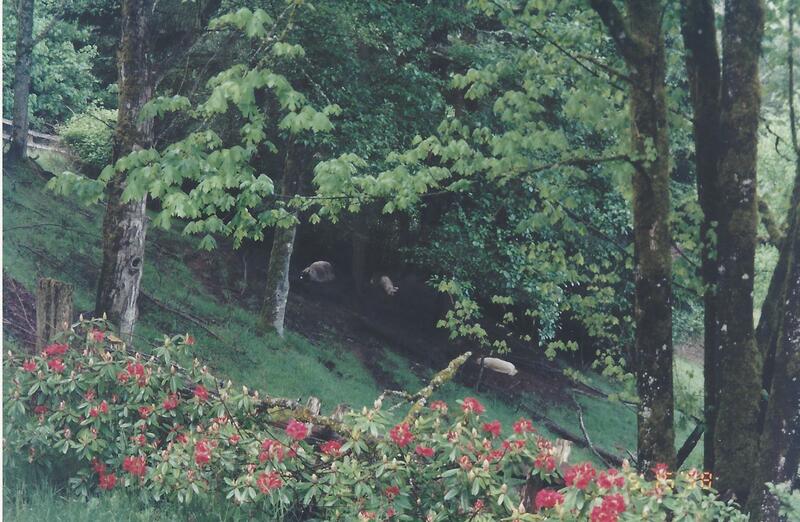 They’re resting in the forest…and do you see Lani napping right near them? She was our very first Livestock Guardian Dog. A Maremma; the breed is originally from Italy. Now Rayado decided to lay his head down, too. Como Se was just a baby back then. 1998. 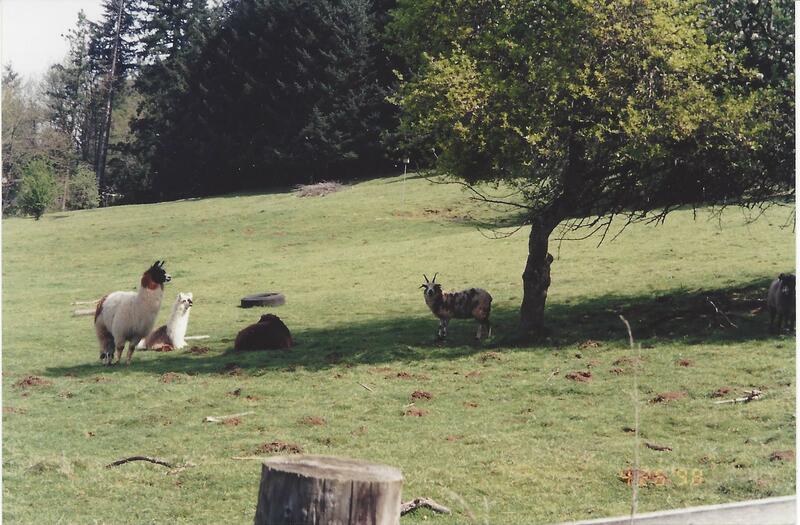 Here they are, down in the pasture; Rayado, Como Se, Paul, and Titus. 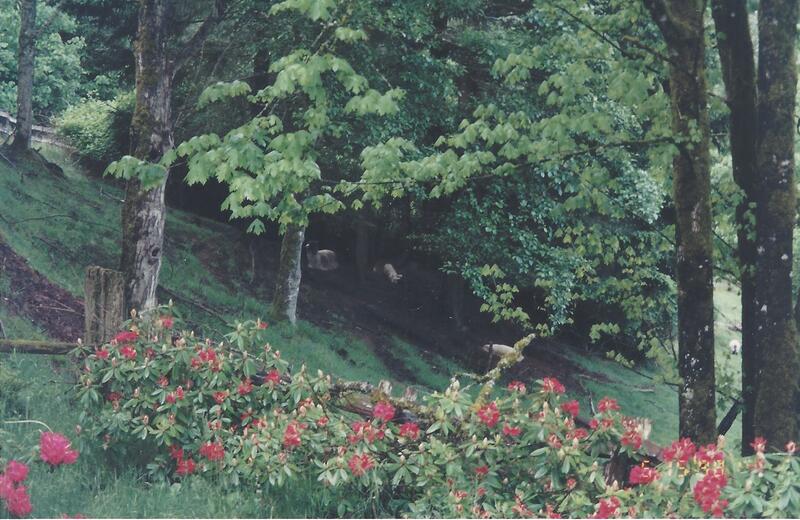 Here’s Lani with our Scottish Blackface sheep, Kuʻuipo, the white sheep, and one of the pygmy goats in the background. And hereʻs Lani again with most all the others. Our then-mailman, Clarence, couldn’t keep the Scottish Blackfaces anymore, and we got these three from him. Our pasture was full back then, and now, except for the horse we’re boarding, is empty. I’m glad I took these photos, and at the same time, definitely feeling wai maka for missing them all. Those were the days, I tell you. 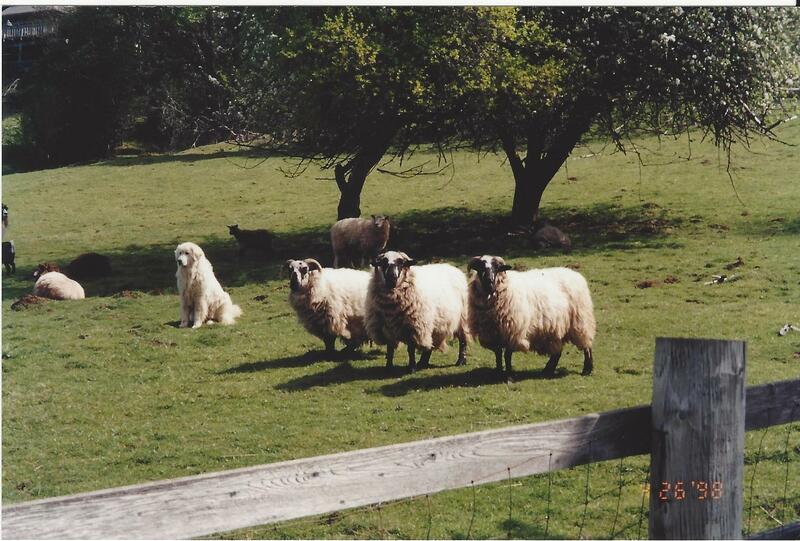 This entry was posted in Da Kine: Sometimes Full-on Pidgin, Farm Stuffs and tagged livestock-guardian-dog, Maremma, pygmy-goats, Scottish-Blackface, sheep. Bookmark the permalink. I’m sorry these are bittersweet for you, Moki-chan. But I’m sure they benefited greatly from your love and good care of them. Thank you for sharing–so beautiful, your beasties. Yeah, they were all beautiful beasties, and I loved having them here. 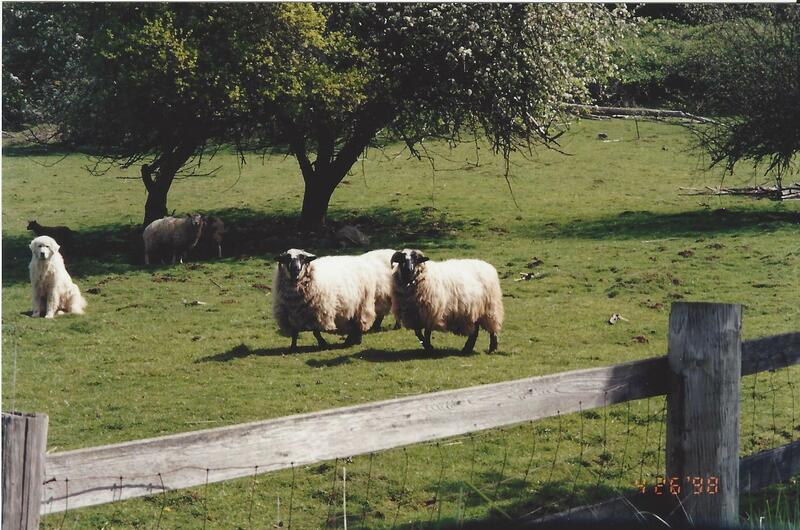 I loved looking out into the pasture and seeing them, knowing we were providing them with a good home. They gave us such pleasure, and I miss them… and time marches on, yeah?